Posting a bit late today as I have to work longer days this week. I'll get Friday off so it will be worth it. 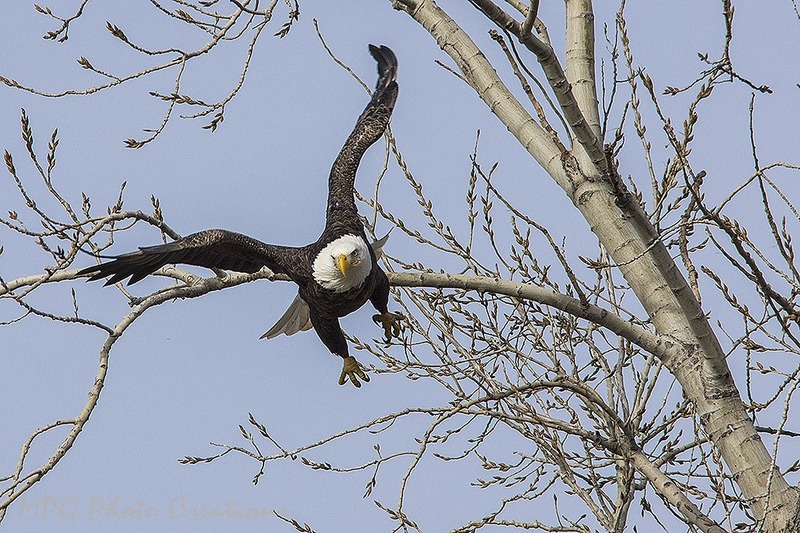 :-) Anyway, my image today is of the Bald Eagle I was able to get fairly close to at Milford Lake. I finally decided it had enough of me taking it's picture and decided to leave and find somewhere else to sit. 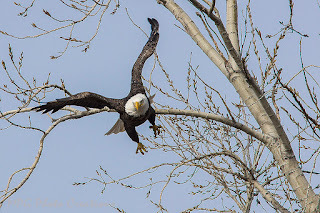 I got lucky and was able to capture it in focus as it left the branch it was sitting on.